Old Spice as part of their new ‘Nature Adventure’ campaign has created a real-life Pokémon where they give full-control of a human being, to the Twitch audience. This is for 3 straight days, 24/7, where he is contractually obliged to do anything the internet wants him to do in forrest in which he has been placed. An earthquake measuring 7.9 has hit Kathmandu & other regions in Nepal & neighboring India. Thousands have been killed in Nepal & people have taken to social media for prayers & messages. Google has setup a 2015 Nepal Earthquake Person finder & Facebook has set up a safety check feature that allows people in Nepal to inform their friends if they are safe. Ministers & officials involved in the disaster team have also been sending messages on twitter, facebook & responding to people’s messages. 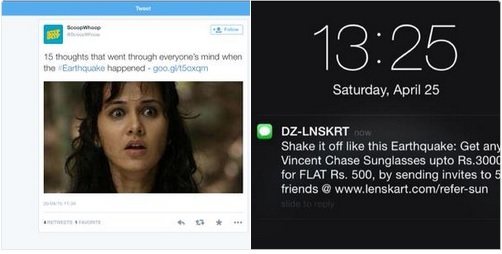 However, some of the brands also utilized the earthquake to shamelessly promote their brands with messages. 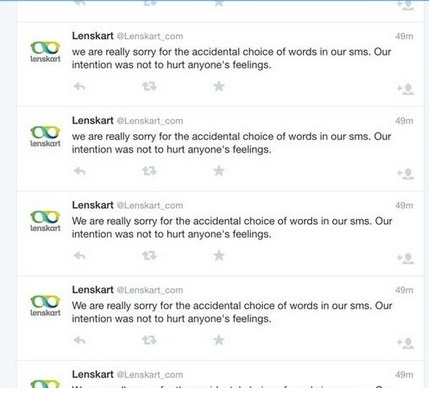 This has been criticized by social media & brands later on apologized for the goof up. According to anti-discrimination group Kick It Out, at least 134,400 abusive social media posts have been directed against Premier League clubs and players so far this season. Mario Balotelli is the most targeted player while Chelsea is the most targeted club, recieving 20,000 abusive posts. Social Media campaigns have been used by brands to create innovative campaigns. Biskrem, a biscuit brand in Turkey has been creating ‘Instagram Adventures’ for its fans. A game that plays out through content clues, images, videos and codes to unlock a path to the finish. The games uses all features of Instagram. Can Tidal Make a Dent in the Crowded Streaming Space? Tidal, a music streaming service that offers lossless streaming aimed at audiophiles. Madonna, Kanye West, Beyoncé and Daft Punk among the artists at the launch of Tidal.